First Church is responsible for providing and serving dinner at the Friendly Kitchen in Concord on the fourth Wednesday of every month. 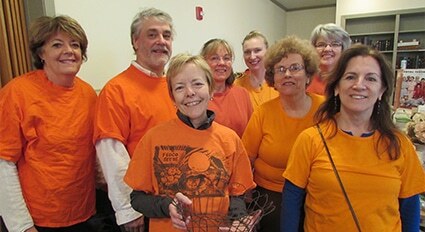 Six or more volunteers prepare and serve the meal, and servers must be 16 years or older. Volunteers are asked to be at the Friendly Kitchen no later than 4:00 pm, approximately 100 guests are served from 5:00-6:00pm, and clean-up is usually completed by 6:45pm. 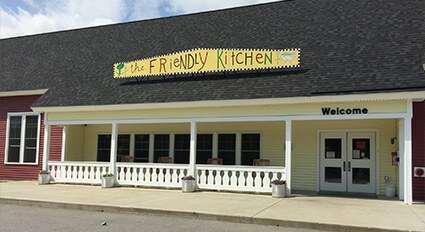 The Friendly Kitchen is the only soup kitchen in the Concord area. It has one purpose – to feed those who are hungry. Anyone who comes to their door is welcome, without question or qualification. It is located at 2 S. Commercial Street, just off Interstate 393. 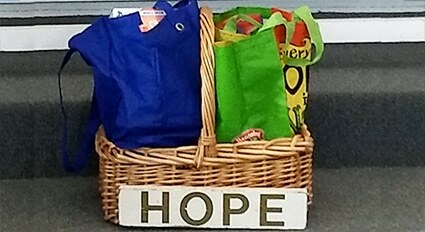 Every Sunday, a different First Church parishioner fills the Hope Food Basket in the front of the sanctuary with two bags of nonperishable food items and/or hygiene products. These bags are donated to the Hopkinton Food Pantry, whose mission is to provide nutritious food on a weekly basis to those Hopkinton residents who are seeking such assistance. At Thanksgiving, First Church sponsors a special food drive to help supply local families in need with Thanksgiving meals, coordinated by the Hopkinton Food Pantry. The Hopkinton Food Pantry is housed in the Slusser Senior Center, and its hours of operation are Wednesdays from 6:30-7:30pm. Members and friends of First Church have served homeless families for two years now, working alongside other congregations in the Family Promise of Greater Concord program. Four times a year, on a rotating schedule, we transform our Parish House into a home and for a week at a time welcome three to four participating families to join us for warm, nourishing meals in caring company, and to spend the night in the cozy bedrooms we have made ready upstairs. The professional staff of the program provides homeless families the mentoring and specific services they require as they work toward the goal of sustainable housing. Our volunteers at First Church find deep satisfaction in preparing and sharing meals, and creating a safe and welcoming place where our temporary guests can feel at home. 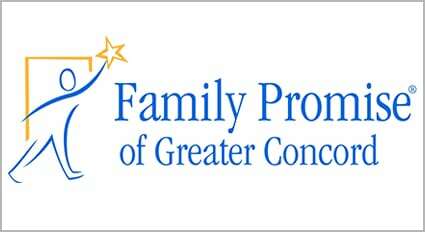 Visit the the Family Promise of Greater Concord website. This annual event is typically held on a Saturday in April. It provides an opportunity for neighbors in our community to purchase needed household items very inexpensively. Donated items come from anyone wishing to contribute used household goods and clothing. Depending on their condition, unsold items are taken to Goodwill and/or the Salvation Army to be sold and distributed to their clients. The Flea Market raises money in support of the youth and adult service trips. First Church and St. Andrew’s Episcopal Church sponsor two Red Cross blood drives annually. Parishioners assist with registration, staffing the canteen, escorting blood donors, and clean up. Donations of food are also collected. During the month of December, Christmas gift wishes of anonymous neighbors in need, provided by Hopkinton’s Human Services Department, are placed as “ornaments” on a tree in the sanctuary narthex. Parishioners select one or more ornaments, purchase the desired gifts, and drop them off unwrapped in the church secretary’s office by a designated date.